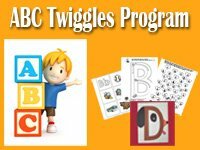 It is important to connect what we do in the classroom with the children's interests. 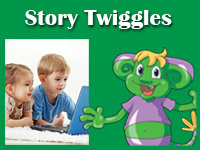 Preschool children are interested in their own experiences. They enjoy telling stories from their families and bringing in items from home to share with their friends. 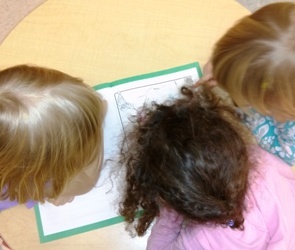 Prior to constructing our class book, we read Jingle Bells by Iza Trapani during circle time. 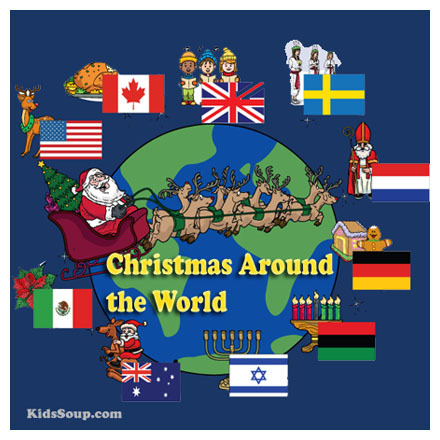 In the book, children set out on a magical sleigh ride around the world to see how people in different countries celebrate Christmas. 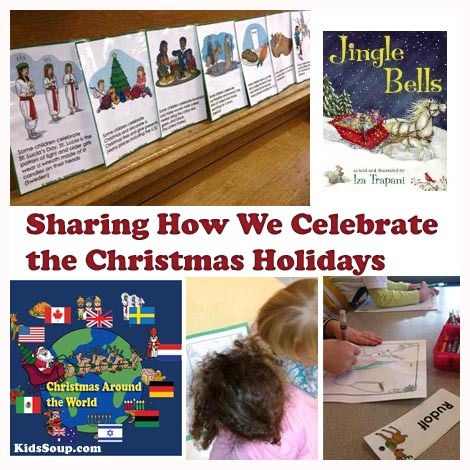 After reading the book, we introduce the KidsSoup Holidays Around the World Picture Cards and lead a discussion with children in which they compare and contrast information they've learned from both sources. Circle time is followed by word in small groups, in which each child is given a “I celebrate by…” book page to complete. 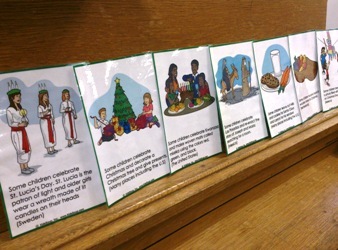 The children draw pictures of their families’ celebrations and dictate sentences to a teacher explaining their pictures. 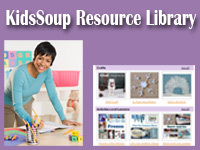 Children who are developmentally ready to write words to describe their pictures are provided with the KidsSoup Christmas Word Wall Cards to use as references for word spellings. 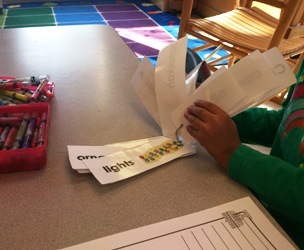 When all of the children's pages are complete, we bind them together in a class book. The children enjoy sharing the book together, looking at one another's drawings, and reading their pages to their friends. 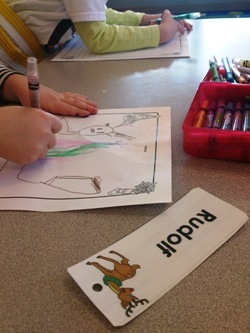 K.RL.7: With prompting and support, describe the relationship between illustrations and the story in which they appear (e.g., what moment in a story an illustration depicts). K.RF.1b: Recognize that spoken words are represented in written language by specific sequences of letters. 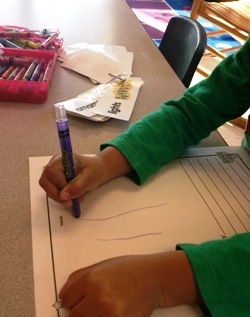 K.W.2: Use a combination of drawing, dictating, and writing to compose informative/explanatory texts in which they name what they are writing about and supply some information about the topic.